How These 3 Strategies of Varsity Tutors Can Help You to Develop a Successful Learning App? With the emergence of smartphones and applications, the world is changing entirely, and people are adopting new habits when it comes to hiring a taxi, order a food from the restaurant, calling a doctor or hiring a tutor for their child. These days, people prefer to hire all these services on-demand using a high-end application on their smartphone. With just a few clicks, they can book a taxi, order food from their favourite restaurant and call a tutor at their home or book a live video session for any subject. Talking about the education and learning apps, Varsity Tutors, an online video learning app, has got the huge attention of various parents and students worldwide. The app helps students to connect with the right tutor of their needs, right when they need it most. This live learning platform has personalized learning plans so that it becomes easier for students to learn and grow. Recently, Varsity Tutors, the learning platform founded in 2011, declared that it has closed a $50 million Series C funding round that led by Learn Capital. An initiative by the Chan Zuckerberg and existing investor TCV also participated in the round. Started as an offline service, today, Varsity Tutors offers a fully functional online platform for learning, including on-demand content through Varsity Learning Tools. The annual growth rate of students, who are constantly enrolling in the online tutoring services worldwide is expected to double over the new few years. The worldwide K-12 online tutoring market is projected to expand at a compound annual growth rate of 12.75% from 2017-2021, which is up from a CAGR of about 6% from 2016-2020. The online tutoring market of K-12 segment was valued at $63.57 billion in 2016 and it is predicted to be $120.67 billion by 2021. As already mentioned that Varsity Tutors has raised $50 million in a Series C round that matches the St. Louis-based company’s $50 million Series B round that closed in November 2015. Across its three raises, the St. Louis, Missouri-based company’s total funding comes to $107 million. With the new funding, Varsity Tutors has planned to enter new categories, new geographies and develop new products that help students to learn in a better way. Today, the platform’s 60% business comes from online that is up from 20% just a couple of years ago. Moreover, it platform claims to help 100,000+ cumulative students since its founding. Many of you might be thinking that why this on-demand tutor app is highly popular in the market and what leads this platform to secure $50 million funding. In this blog, we have mentioned strategies that lead this learning platform Varsity Tutors to get huge success in the market. The main strategy behind the success of Varsity Tutors app is its constant innovation to deliver quality learning experience to students across different geographies, backgrounds and learning requirements. The company is constantly improving its platform with many new tools, experts, adding new subjects and methods to teach students. Moreover, it is working hard to make students’ learning more effective and increase access for more students. Initiated as an offline service, today it has combined many live experts with an online and mobile platform for learners. Furthermore, there are about 40,000 tutors, who offer services spanning more than 1,000 courses and subjects, ranging from elementary school to graduate levels and classes for professional training. Till date, 10,000+ students have used the service of this tutoring app, and students have accessed more than 3 million hours of live instruction. In order to provide a quality education and learning to students, the platform examines the tutors by conducting a video interview and check on a prospect’s skills, grades, transcripts and test scores. Along with it, the company also conducts a diagnostic test and a background check. So, this is how the company keeps improving the learning experience of students and getting huge success in the market. Another strategy that made this platform stands apart from other online learning platforms is that this application connects students to teachers in a just a few seconds. 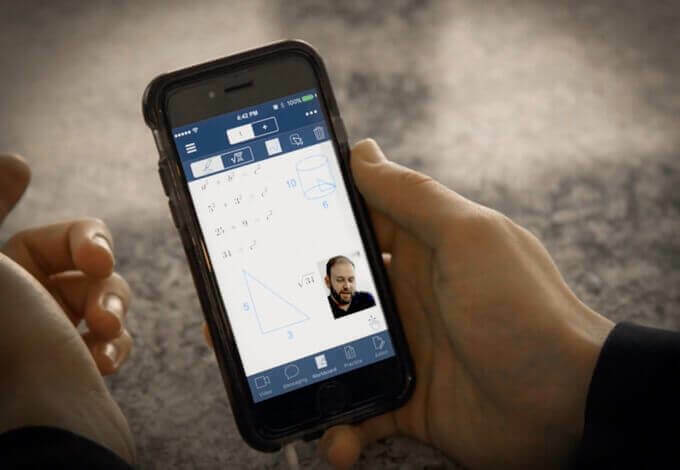 The online platform has an instant Tutoring product, which will connect a student with a live expert in just 15 seconds through the desktop web or mobile application. With the tutoring sessions, students can get doc editing, whiteboard functionality and some of the other tools that will ensure the lesson is as impactful as possible. To use this easy tool, you just need to select any subject from different subjects, get matched with a tutor of your choice in 15 seconds and work with your tutor until all your studying and homework questions are answered. One of the best things about Varsity Tutors platform is that the tutors are online 24/7, so if you have in question while studying in mid-night or early morning hours. Tutors will answer your queries with a right solution. Now, there is no need to let your busy and hectic schedule interfere with tutoring as on-demand tutoring app Varsity Tutors allows you to take your tutoring sessions on your desired time. Whether you want to get face-to-face help on mobile tutoring platform, the tool is an ideal choice for whenever and wherever works best for you. If you want to learn in a break between classes to your commute home and turn your waste time into your educational benefit, it is one of the best learning apps for students that is available on-demand. This on-demand solution offers a comprehensive range of tools to help in your tutoring sessions. You just need to follow a step-by-step guide to different levels of math problems by using the math board. Moreover, the platform also offers workboard, enabling students to highlight their concerns and queries through graphs. There are enormous tools that can help to perform the work that you need from just your mobile device. Whether you want to create a learning and education app like Varsity Tutors or any other app of a different category, you need to ensure that your app provides a solution to your audience that can be easily accessed by them. Talking about the education apps, you can also have your own online education and learning platform, helping students worldwide with different subjects. You just need to validate your app idea with any android apps development company that has proficiency in developing different education apps. How to create an education and learning app? What features can be included in learning app? You can directly consult us with your queries and questions. You just need to fill the below-given form for free consultation and our business team will get back to you within 48hrs!